Poor Reno is never going to be the same. 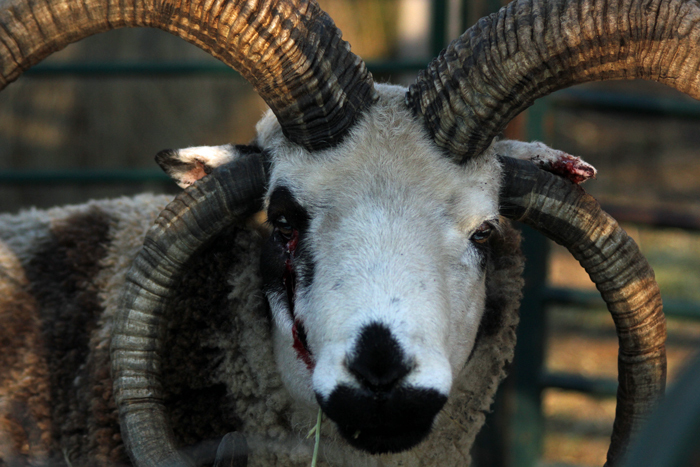 He was in a bit of a tussle with another ram and ended up on the losing end. This is our son’s ram and while we were waiting for the vet to arrive, he came up to me and said ‘I am mighty worried, is he going to be here soon?’ Such a sweet soul he has 🙂 The vet was here quickly and did a fantastic job of patching him up. Yes, that is a cut running from his eye down his cheek. 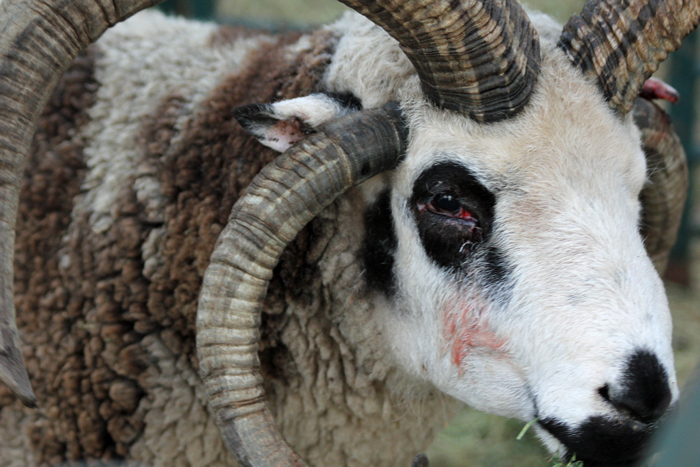 It looks like the top horn on the other ram caught the eyelid and went down and back. 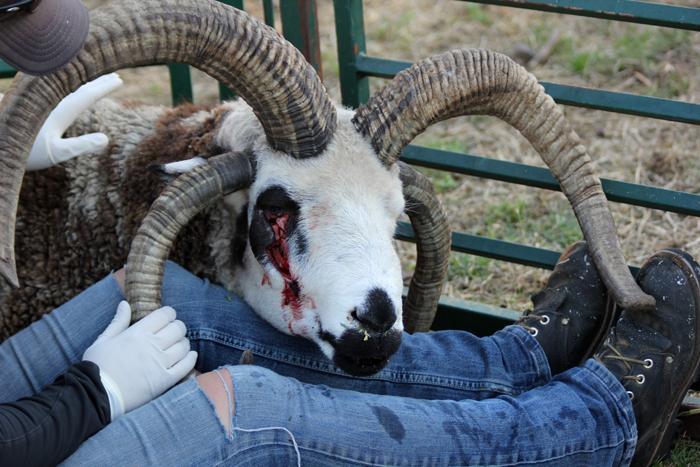 It has been a bad year for the ram’s here at Kenleigh Acres for needing to have stitches around their right eye. Reno is now the third ram that needed to have the vet sew him back together. Geez boys! He had a great pillow to rest his head on while the vet cleaned and inspected. In addition to the soft tissue damage, he found a bone chip that had to be removed as well. I’m glad I didn’t see the blow that did this! Other than the puffiness and a little blood stain, it is hard to tell that his cheek was sliced open. He will be kept in a small pen for a few days to ensure we can keep an eye on the healing process and to administer pain medication along with antibiotics. He was in good spirits this morning and dug right into his breakfast. He is such a sweet boy and let me scratch his chin while he ate. The boys are playing a little rough – the girls love boys with scars though – ha! Poor dude – hope he recovers and gets back with his mates. Have a Great One! OUCH!!! Hope he heals well.